Years after completion of the Bridge to Nowhere, developers’ dreams are still hanging on a three-quarter-mile stretch of road between Mercy Regional Medical Center and the Highway 160 interchange at the bottom of Grandview Hill. But those dreams soon may be coming true. The city is requesting contractors bid on the project this month, and construction is planned to start soon after, City Manager Ron LeBlanc said. 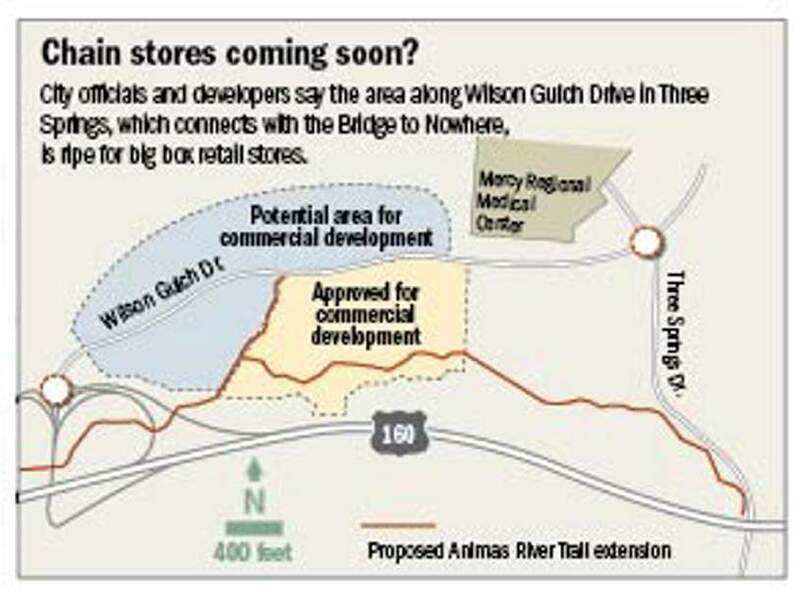 The estimated $8.2 million Wilson Gulch Drive is key in wooing large retailers to move to the space, developers said. The city is hopeful new big box stores will help stem the flow of Durangoans going to Farmington to shop, which is redirecting $40 million in sales-tax revenue, LeBlanc said. The city has approved a development called The Gateway at Three Springs that would consist of 256,000 square feet of retail space. But no stores have officially signed on to come to the shopping center yet, said developer Patrick Vaughn, president of GF Real Estate Group. 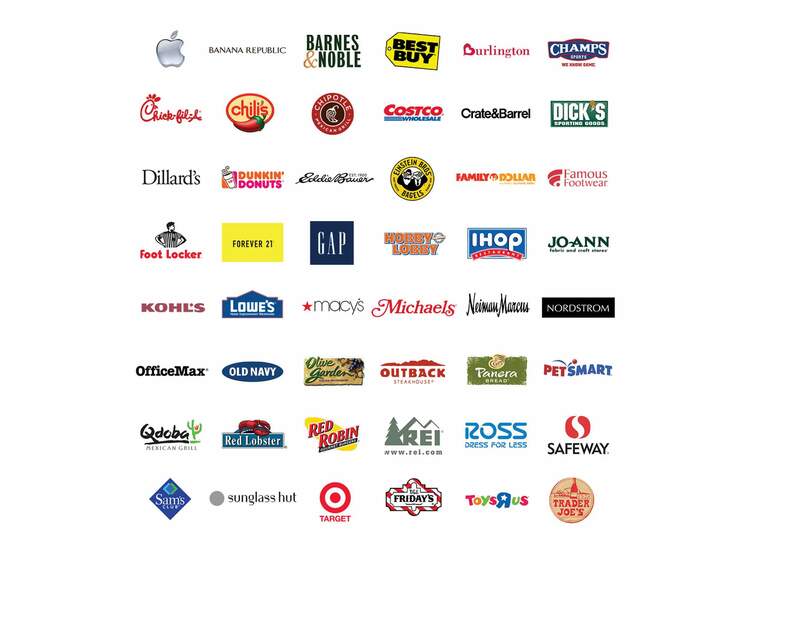 He said his company has spoken with more than 60 different stores. But they all have said essentially the same thing: “Show me the road.” Without the road it is impossible for retailers to access the site and start construction. However, Vaughn’s company already has brought in all the necessary utilities to the site such as water and sewer lines, he said. But each of the businesses still must pay to hook up to the infrastructure. Crader Properties LLC owns two parcels totaling 71 acres that could be developed. It has submitted preliminary site plans for some of the property, said Tom Caver Jr., real estate broker for the property. But the company also is waiting for construction to start before getting back in touch with big box stores, said Rowean Crader, managing member of Crader Properties. “It’s just something you can’t do until it’s a sure thing,” she said. Caver said he has done a lot of premarketing of the property in the last year and found there is significant interest because of the limited commercial real estate in Durango. “It’s really the only place there’s large acreage that’s ready for development with infrastructure,” Caver said. Caver said the Crader development will include about 300,000 square feet for retail. The city is managing the Wilson Gulch Drive project, but La Plata County and the state have agreed to help pay for it to encourage economic development. The county will be contributing $1.3 million, the city will be paying $2.7 million, and the state will be paying $4.2 million. Part of the $4.2 million is federal grant money filtered through the state. Project costs rose when the city decided to accept federal funds because they came with more reporting requirements. Those will require contractors will be required to pay wages determined by the Department of Labor, which are significantly higher than a private contractor might pay, LeBlanc said. An intersection in the middle of the new road also was added to the cost. The road is the next stage in an interagency collaboration that includes the $47 million invested in the interchange completed at the end of 2011 and the realignment of U.S. Highway 550. For years, the Colorado Department of Transportation has been negotiating with private property owners to rebuild Highway 550, so it would connect with the interchange. Currently, an independent engineering firm is working to complete an analysis of several alternative routes by the end of the year and will present the preferred route at that time, said Nancy Shanks, a CDOT spokeswoman. Once an agreement is reached, CDOT will be in charge of funding the project and applying for appropriate grants. Vaughn said some retailers want an agreement to be reached for the realignment of Highway 550 to connect with the interchange before signing contracts. He said his company has been involved in the negotiations, and a final agreement is imminent. If an agreement is reached near the beginning of the year, he expects to be able to release the names of the potential retailers that have signed contracts in the spring. A request for bids for the construction of an extension of the Smart 160 Trail through the planned retail areas also will be sent this month, said Kevin Hall, assistant director of community development for the city. The trail is planned to follow a natural drainage, and it will connect with a trail built underneath the Bridge to Nowhere and a Three Springs trail. The trail has received just less than $2 million in grants for construction, and it is hoped the same developer will be selected to build Wilson Gulch Drive to simplify the process, Hall said. Once the trail system is completed, this piece will help serve those already commuting by bicycle, LeBlanc said. Crader Properties started advocating for annexation to start the development process in 2002, and the city turned it down three times, Caver said. In 2010, the city approached Crader Properties about annexing its property and developing it to help stimulate the economy. At the time, the city agreed to fund the construction of Wilson Gulch Drive as part of the deal, he said. Three Springs, despite purchasing land after the annexation, is a bit ahead of Crader in the planning process. Vaughn said the company choose to develop along Wilson Gulch Drive because of it’s high visibility and it’s proximity to its subdivision. Three Springs is now home to 236 units, and the company plans to add 50 units a year excluding apartment complexes. Next year a 100-unit apartment complex is planned. Despite what has been almost a 15-year process, Rowean Crader, managing member of Crader Properties, isn’t frustrated. “Why fret over something that may not happen on my time?” she said.